How lucky we are...library books are a treasure. If I had to buy every book I wanted to read my bank balance would be zip, zilch, nada. All the time. Praise Jesus for the invention of public libraries and hope to the future they last for all eternity. Over the past few weeks I've compiled a stack from 2 different visits. 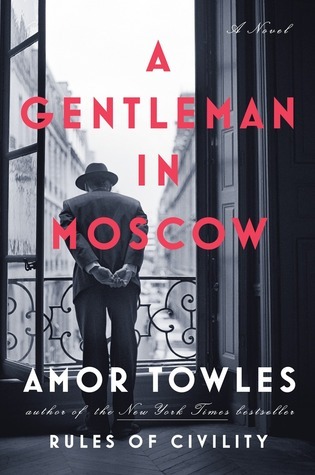 I also finished an amazing book, A Gentleman in Moscow by Amor Towles, a beautifully written story of Count Alexander Rostov. He's under house arrest in the Metropol Hotel in the heart of Moscow. He's lucky to be alive yet it's difficult to understand you may never take one step outside to do ordinary things. He sets up routines to get through until young Nina, a visitor to the hotel engages him in conversation. His time is soon taken up with this precocious guest as they explore the inner workings of the hotel. Amor's language and the characters he breathes life into make this tale magical and believable. I would love to have been part of this story even as the seamstress who guides Alexander into parenting. I returned this one back to the library only because it had a hold on it; otherwise I may have read it again. Instead I found Amor's first book, Rules of Civility (2011) and plan to read that soon. 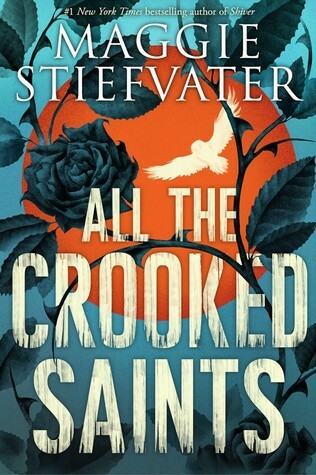 All the Crooked Saints by Maggie Stiefvater (2017) : Magical tale of the Soria family in Colorado as they take care of pilgrims and each other. I'm on chapter 6 and as soon as I finish composing I plan to fly the sofa and read...I've loved Maggie's writing for a long time and once took a long drive through flood waters to hear her speak. She's pretty badass too. 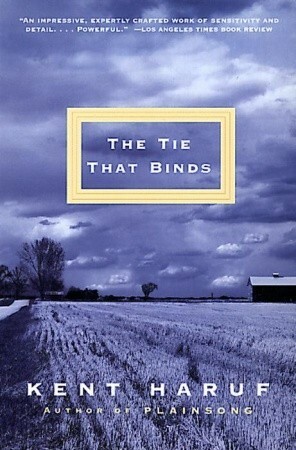 The Ties that Bind by Kent Haruf (1984) : I read Kent's "Our Souls at night" in the hammock this summer and was in love with the characters and the simple story line. I thought I'd start at the beginning of the Holt, Colorado stories with this one. 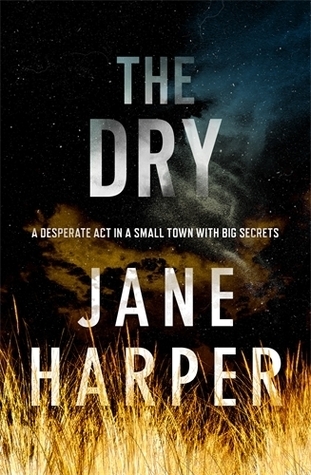 The Dry by Jane Harper (2016) : This title popped up on my mother-in-law's feed as a great new read while they were here which prompted both of us to put it on hold at our respective local libraries. 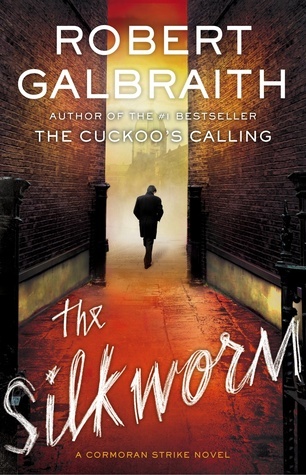 After reading my last Cormoran Strike mystery (the 2nd in the series)-b/c I read them out of order-I could use another good thriller. One of my 4th graders wandered around the library yesterday with a stack of books in her hand and a huge smile on her face and dreamily said "so many books, so little time..."
I have mixed emotions about this holiday. I don't have any trouble being thankful and realizing ALL that I have to be thankful for but the celebrating of this particular holiday just reminds me of the horrors we inflicted on Native people then and still. It also seems like a ticket for overeating. Do I sound like a humbug? Yes I probably do. I just wish the holiday was simple and not followed by a crazy shopping frenzy. So today I challenge you to think about what you are truly grateful for and to realize our lives are built on the backs of others. Read here for another look at Thanksgiving. And this young person perspective. My family; 5 of us make up a unique team of weirdness filled w/ humor. My brother Jason; he is my family rock and pushes me to be more. The elders in my life; mom, my in-laws, my stepmom and my dad in spirit. Nature; thank heavens for parks of all kinds, places to hike and breathe. Public education; may they one day be truly equal. Public libraries; free books to borrow is a wonder. Books and reading; I love to be transported. Delicious food; well cooked, unusual ingredients and flavors. My health; which is often rocky but I'm very lucky to be alive. Friends that bring me quiet times, good times, and laughter. What brings you joy? Celebrate that today. Fill your plate with the stories that are told around the table and find happiness in the people you are sitting with around the proverbial table. 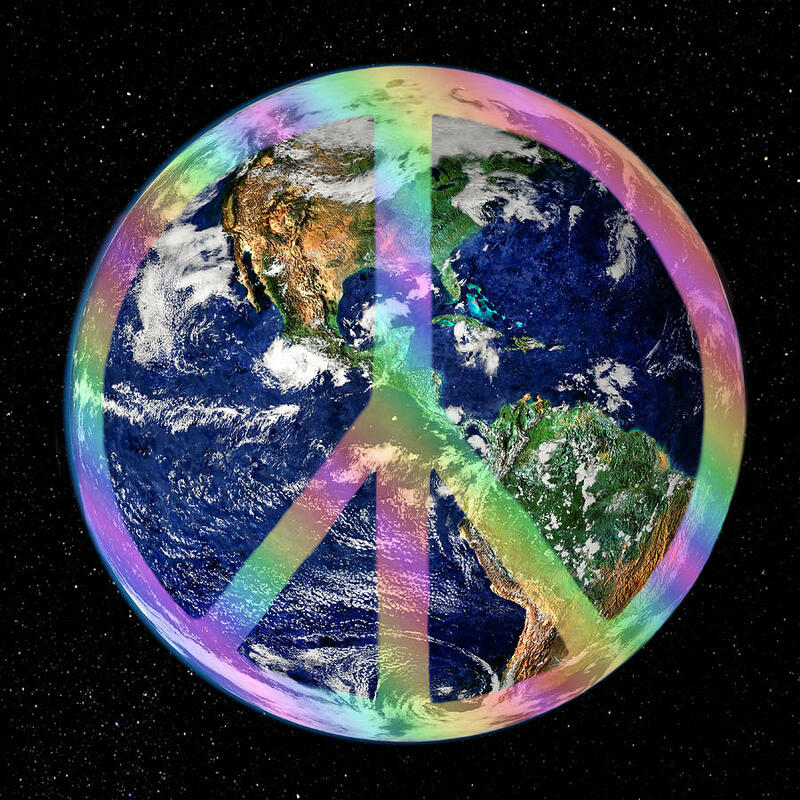 Reach out and think of the many marginalized people in your community. We spent a whirlwind two days in La Crosse, WI exploring and then my husband ran a trail race on Sunday morning. 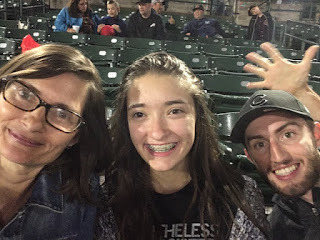 We loved La Crosse and found many cool things to do there. We loved Old Crow, The Charmant Hotel, Skeleton Crew Brew, Grandad's Bluff, Stacked Turtle Brewery (named for Yertle the Turtle) and Duluth Trading Co. The sights of the bluffs around town were amazing even with much of the foliage stolen by cold weather and rain. We would not go back to Two Beagles Brewery; the service was good-the beer was tasteless. We had trouble finishing our flight and left the Oktoberfest with most left in the glass. We stopped in La Crescent, MN on our way home; who knew they were the apple capital of the Minnesota? We pulled in at a farm stand and bought three bags of beauties and an apple fritter to share. The beautiful Halloween photo at the top is courtesy of my friend Sarah and her 3 adorable children. We love their pumpkin glow! My girl carved a pumpkin of her own but with friends and I have yet to see photos. Happiest of Halloweens to you and stay safe out there. My brother Jason introduced me to the fine art of making risotto. He makes a pea risotto that I adore. My daughter is not a major fan of peas though so she asked me to find a different special ingredient to add to this dish. She suggested sautéed carrots. I had a beautiful butternut squash on my counter and as I browsed through Giada's Kitchen; new Italian favorites by Giada de Laurentis I found the perfect recipe. Groovy Girl didn't really love the butternut squash but I thought it was a perfect fall pairing. In a medium saucepan, warm the broth over medium high heat. cut the vanilla bean in half lengthwise and scrape the seeds and add them and the bean to the broth. When the broth comes to a simmer, reduce the heat to low. Add the butternut squash to the simmering broth and cook until tender, about 5 minutes. Use a slotted spoon to transfer squash to a side dish. Turn the heat on the broth down to very low and cover to keep warm. Meanwhile, in a large, heavy saucepan, melt 2 T. of the butter over medium high heat. Add the onion and saute until tender but not brown, about 3 minutes. Add the rice and stir to coat with the butter. Add the wine and simmer until the wine has completely absorbed, about 3 minutes. Add 1/2 cup of broth and stir until almost absorbed. Continue cooking the rice, adding the broth one cup at a time, making sure liquid absorbs each time, about 20 minutes total. discard the vanilla bean. Turn off the heat under the risotto (and the remaining broth, if any). Gently stir in the butternut squash, Parmesan cheese, 1 T of butter, and the salt. Transfer to a serving bowl and sprinkle with chives. Serve immediately. Really delicious. Perfect fall recipe. I also made these zucchini fritters-they were so-so but I'd like to play with the recipe a bit the next time. I read two excellent books this month; Yaa Gyasi's Homegoing and LaRose by Louise Erdrich. Both are family sagas retelling the stories of several generations. Homegoing traces two half-sisters born into two different villages at a difficult time in Ghana's history. Tribes are busy waging war against each other and collecting slaves to make money and win favor from the white Europeans. Effia is forced to marry an Englishman and goes to live in the Cape Coast Castle. The marriage is a business deal arranged by Effia's mother to bring fortune to the village and to push her daughter away from the village and her intended husband, the chief Abeeku so that she may have a more profitable life. Effia's half sister Esi is also promised in marriage to a man in her village. Her father is is a brave warrior, a Big Man, and she's grown up in being adored by her family and community. One night warriors come to her village and she is told to run into the woods where she sits in a tree but is still found and with pelting rocks hitting her she falls to the ground. And thus both sisters' fortunes are changed even as both are sold as product. Esi is chained up in the basement dungeon of Cape Coast Castle while her sister lives above. Eventually Esi is shipped off to work the American slave trade. Each chapter relays the tale of a descendent of each sister and in this way you are awarded this amazingly rich historical yet very personal account. 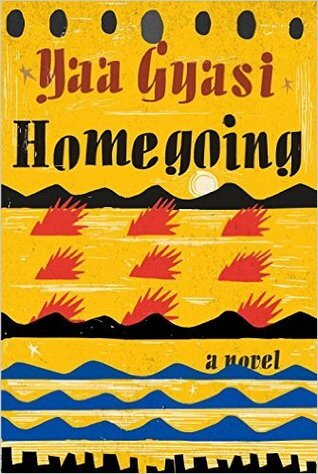 In LaRose Louise Erdrich gives the reader many parallels to Homegoing's history. American English did their best to negate both cultures. LaRose, told mostly through the present, tells the story of Landreaux and Emmeline's grief after a tragic accident kills their friend and neighbor's son, Dusty. Through back and forth chapters we understand the depth of the grief felt by both couples and through side stories Erdrich interjects the history of Emmeline's family and how tragedy and wisdom often walk together. 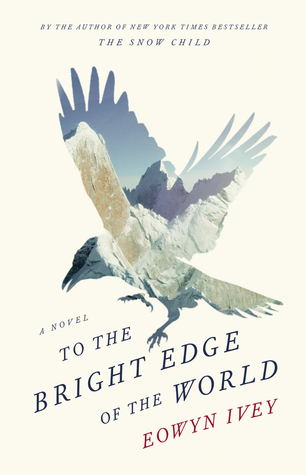 The characters Erdrich brings to life are interesting and multidimensional. Both novels illustrate the simple fact that women have been battling men for centuries. How brave and bold it is that we hope to raise our children to accept a different norm. I know I expect my daughter to be strong and resourceful and I expect my son to treat all women with due respect. We read LaRose for book club this month and I celebrated by making this Wild Rice Salad. It was delicious and I would make it again. 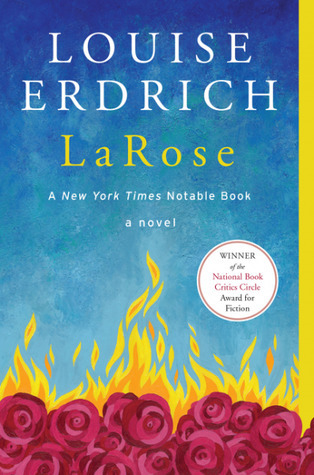 I'll read anything with Erdrich's name on it-I love her young reader's Birchbark House series-and read it with my school book club every year. One of my life goals is to read all of Erdrich's stories and to make it to her Minneapolis book store. New York Times review for LaRose. Enzo is a lovely canine narrator, a deep thinking dog and the book should appeal to all dog lovers, want-to-be dog owners, or any human with a heart. I remember crying and writing quotes from the book onto scraps of paper. 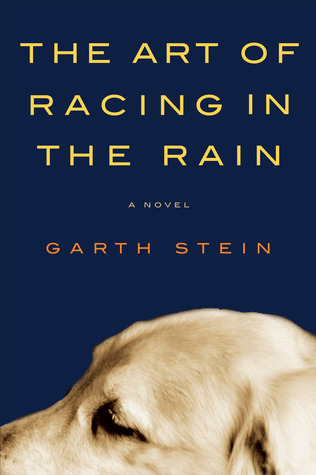 Garth was eloquent and humorous to listen to and he told story after story of his family, his wife, the struggle of being a writer and how the book came into being and how his agent would not accept it. If I ever actually publish any one of my stories this is the part that I fear. I'm an awful public speaker (unless my audience is made up of elementary kids) and could maybe speak extemporaneously for about 10 minutes. We'd have to go to questions pretty quickly. I could handle the signing part though, one on one interactions, but I don't like getting my picture snapped so that might be an issue. We will cross that bridge when we get to it. After the event he signed books near a table where his books were on sale through our local university bookstore. During part of the q and a session I spent some time on my trusty Goodreads app and looked up several of his other books. 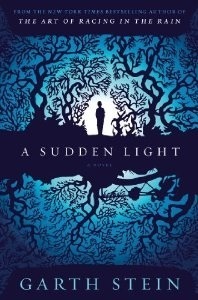 His latest one, A Sudden Light, about a timber families fortunes and misfortunes had a few negative reviews so I stayed away from that one. My friends Rich and Kay did buy it though and so I'll wait to hear what they think. Two of his earlier books had more interesting reviews, to me, so I went with these (yes, I bought them both and had them signed). 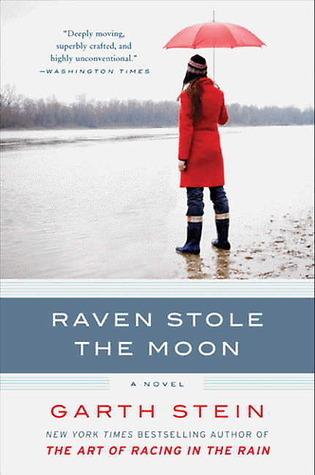 Raven stole the moon (1998) is part magical realism and Native American folklore-right up my reading alley. 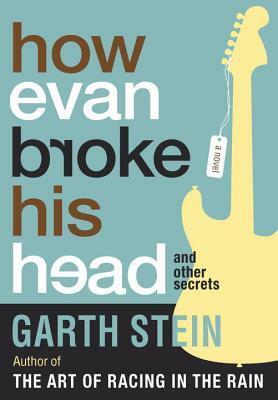 How Evan broke his head and other secrets (2005) tells the tale of a young rock and roller who meets his long lost son at the age of 14. I'm excited to read both of them after I finish the three other books by my bedside and La Rose by Louise Erdrich, our Good Spirits book club choice for October. It is wonderful to live in such a literature-rich household-I never, ever, ever even think the word "bored". 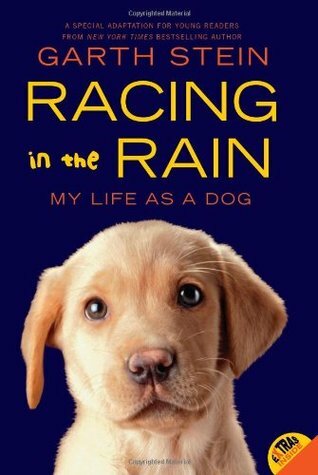 I was completely unaware that he has a young reader's version of The Art of racing in the rain and several picture books devoted to Enzo. Eowyn Ivey's writing is flawless just as it was in her debut novel, The Snow Child. 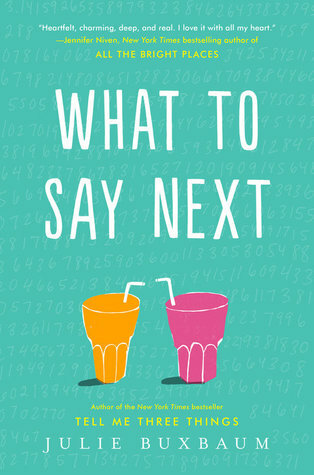 I treasured reading each entry as I became more connected to the characters. Colonel Forrester's journey takes him away from his new bride, Sophie, and into the Alaskan wilderness to gather information about Native tribes and the land. Sophie had planned to go until she finds out days before departure that she is pregnant and won't be able to make the trip. She is devastated but manages to find herself deeply immersed in photography and bird-watching. The book is told in alternating diary entry format with Col. Forrester, Lieut. Pruitt, photographer for the journey, and Sophie back in Vancouver at the barracks sharing with us in 1885 and Josh, Alaskan Native historian and Walt, Col. Forrester's great-nephew who is interested in preserving artifacts from the trip that have been left in his possession in present day. The expedition is far tougher than any could have predicted; both for Sophie and the Colonel and his men. Ivey's words far outweigh my ramblings on the topic so let me share just a few passages so you may know the beauty of this historical novel. Like a salve to me, her letter. I waited as long as I might, but after this hard day of travel, I needed the comfort of her words. I have been thinking of light, the way it collected in the rain drops that morning I was so full of joy, and the way it shifts and moves in unexpected ways, so that at times this cabin is dark and cool and the next filled with golden warmth. I have an old kitchen surrounded by a few new appliances. At some point I hope I'm able to update the the cabinets, the floor, and the sink. I am someone who spends a great deal of time in my kitchen and it's a hallway kitchen so it's not easy for anyone more than me to be in there. The next two days will be the toughest days for me and my kitchen as I get ready to make a big batch of salsa and a big batch of pesto. Every year my mom shares her garden bounty with me so I may turn it into salsa and pesto; two items I love to have all year around for pure food happiness. Even though it's an all day process and hot. My husband is a great help with the salsa part and I love that. 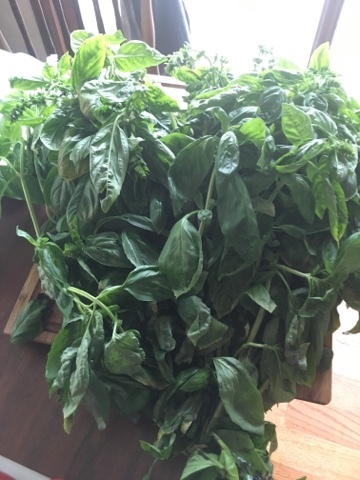 I've been looking for a good new pesto recipe that doesn't use pine nuts. So expensive, those pine nuts. I found a good one on Epicurious.com that uses pecans. 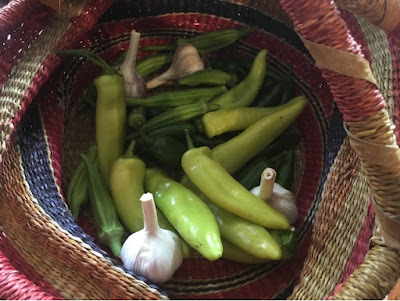 If you want my salsa recipe check out this fabulous post with a tiny Groovy Girl front and center. Just a week ago we made the trek to Missouri to be in the path of totality. It was exciting stuff to be on the road headed to such a monumental event and one that, in our lifetime, we may not be able to see again. My husband started plotting this adventure back in April and was shocked to find all campgrounds in the area to be booked. He did find a hotel in Columbia, MO for the night and then we'd head to Boonville, MO to be right in the path. He even had a large park picked out that would be perfect for hanging out and waiting for the moon to cross over the sun in the middle of the day. Somehow he managed to take care of many details except to find the appropriate glasses. This is the part that stunned me. Here we are making this 5 hour journey to watch an amazing moment in time and not prepared with the right equipment. We might be left looking like Mr. Trump squinting into the sky. Once we checked into the hotel I made this my priority. Luckily the University of Missouri book store had ordered more than enough paper glasses and were selling them at a reasonable rate. 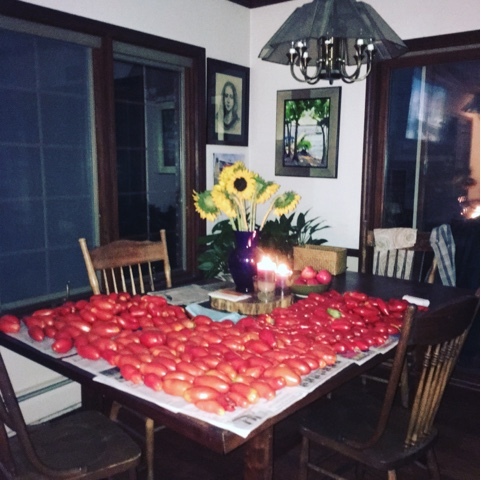 We were set for the next day. We had fun at Cosmo Park with an eclipse themed party; live music, food trucks, and fresh local beer. After that Groovy Girl picked a place for dinner; Babbo's Spaghetteria! We headed back to the other side of town, near the U of M, and found this place in a highly traffic commercial area-not our usual dining preference but it's what she'd picked. This is the thing with road trips that I love. If it is a new destination for you; you have know idea what you're going to get. The place from the front looked like a glorified Olive Garden but what was inside was a different story. Our dining experience was delicious. I had a strawberry salad that was the perfect size with great flavor. And Greg and G.G. both had pasta dishes they loved as well. We shared a bottle of wine as our excellent server informed us the bottles were on sale AND we could take the rest of it with us. I think that's a great rule. We had a leisurely dinner, enjoying the staff, the food, and the ambiance even though we were in a fancy strip mall. A good reminder to never judge. The next day we hung out in Harley Park with our own snacks and beverages. 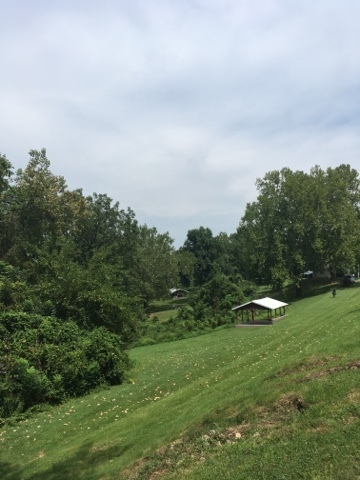 The park service of Missouri were extremely helpful and polite, using golf carts to help ferry people and their chairs, coolers, and bags up and down the hills. Super hospitable. After the amazing event we hung around a bit, waiting for the rush to leave the park. And in order to hopefully miss much of the highway traffic we hung around in downtown Boonville doing some vintage shopping. Our drive home was l-o-n-g. In other words we DID NOT miss the traffic. 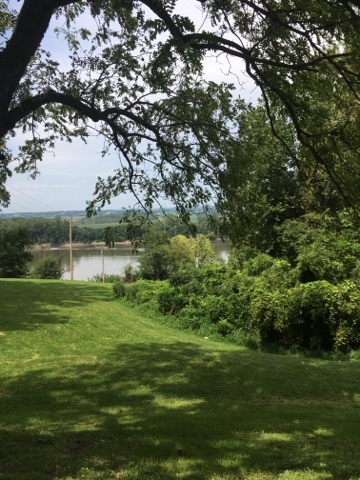 In Hannibal, one of our favorite little cities, we decided we needed a dinner break. We trawled through town looking for something interesting other than fast food and one of our phones brought up the Rustic Oak (motto: best food by a damn site). It had an interested front-like an old west saloon and we walked in. This is again just part of the road trip experience but let me tell you flat out that this place sucked. It's tough to be a foodie in the real world of restaurants on the road. Oh the waitress was okay and the decorations were interesting to look at but the food-total bomb. It had an extensive menu, with many pages to look through. At the appetizer section both my husband and I spotted fried okra, which we both love. We ordered that with our waters while we continued to browse the menu. I finally spotted fish tacos and felt pleased that I'd found something. I'm usually pretty happy with just an app or a salad but this was the kind of place that included meat on every salad. Blech. A good salad does not need meat. Just fyi. Eventually Greg and GG found things they were excited about and our order was placed. Oh how I wish I could take it back. We knew we were in trouble when the okra showed up looking like hard little puff balls straight from a freezer box. We waited a long time for the rest of our food to arrive and when it did we should have sent it all right back. There was something off-tasting in my tacos-I still don't know what it was. It wasn't spoiled or rotten but it was on the way. It might have been the cole slaw or something in the fish batter-but I had to stop eating after a couple of bites. Greg agreed after one bite that I was right. He had a burger (the meat was good) but the lettuce was like the limpest piece of bottom of the bag that should have been tossed away, the bun was stale and GG's chicken parmigiano was gooped with a bunch of really plastic cheese. We laughed at all of these things although we did turn the fish tacos back in to the waitress. You just never know and that's what adds to the excitement and fun. We have so many memories like this as a family. And we are lucky to have them. The Rustic Oak will live in infamy when we joke about crappy food. I heard some guy interviewed on NPR today discussing recent events in Charlottesville, VA. He ended the discussion with an admonition that everyone should invite a family of a different color, religion, belief system over for dinner; that through personal interactions such as a simple family meal we could end racial strife. It sounds good. And I do have diverse people to my house for dinner. I want to know who's going to volunteer to have the neo-Nazi family over though? Not me. Maybe I would IF I thought I could magically unwrap their hatred. I'd rather have Tina Fey over for dinner though and I'd serve a sheet cake at the end. And then we're just preaching to the choir. Quite awhile ago (before the election ended so tragically) I ordered a stack of books from Amazon. 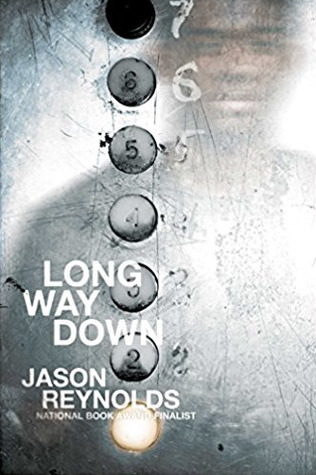 I'd read a review about Angie Thomas' new book that enticed me and two other books were suggested to me by that handy Amazon tool. In a rare moment of frivolousness I ordered all three-very unlike me. 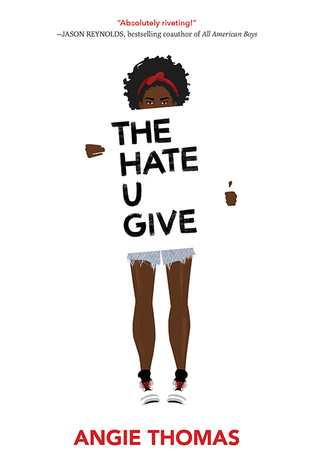 I read The Hate you give pretty quickly and LOVED it. I promote it all around town and on twitter. Loved it. She wrote an interesting story with genuine characters on a timely topic. 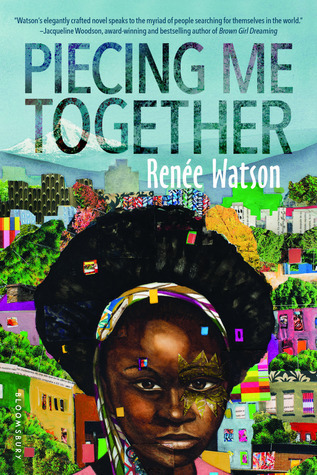 The second book was Renee Watson's book Piecing me together; an excellent coming-of-age tale about tough choices and being yourself. 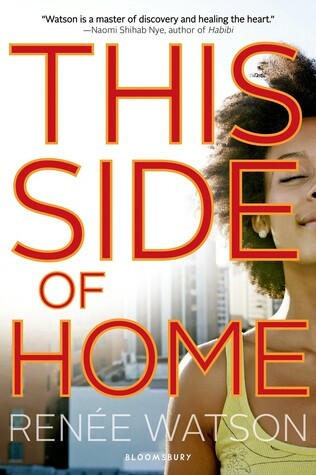 I discovered I had an ARC of an earlier Watson book, This side of home, about a set of twins coming into their own as separate young women, which I then devoured as well. 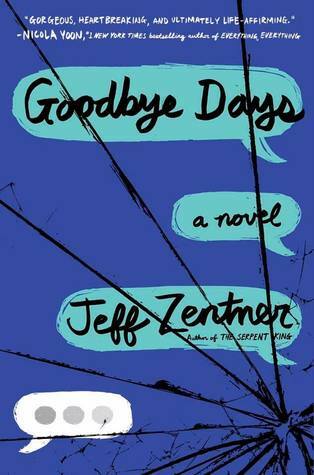 The 3rd book took me a bit longer to get to-I don't know why-but it set on my dining room table for months. I packed it for vacation though and read it on the road. Ibi Zoboi's American Street. 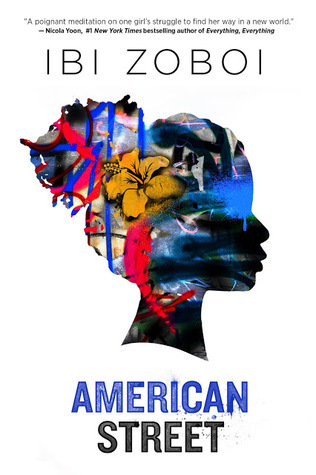 Unlike the other three this one is not about the black experience in America but a Haitian immigrants experience as a young high schooler trying to learn how to be American amidst family strife. This one I enjoyed yet I struggled with decisions made and lack of consequences for Fabiola's cousins. I look forward to other stories she may have to tell. 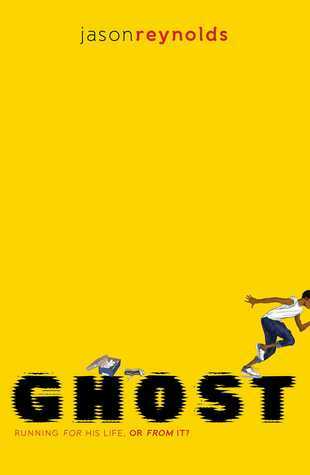 Another one I just finished that can be added is Ghost by @JasonReynolds83, a powerful tale about a young man trying to make good choices in his life. I have a few great vacation photos to share with you. It fills me with great joy to get together with family and I am blessed to have such an amazing extended clan on my husband's side. We traversed through D.C., NYC, Brooklyn, and Rochester, NY. Whew. I'm tired just thinking about it and am happy to be home. 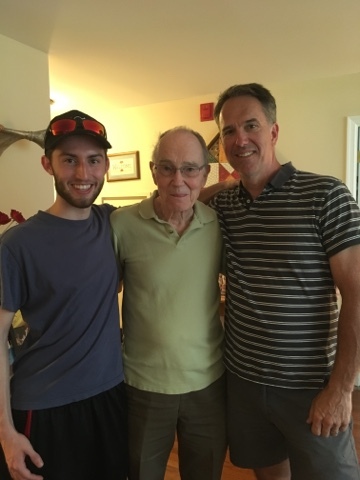 Three handsome Holt men, happy to be together, talking politics. 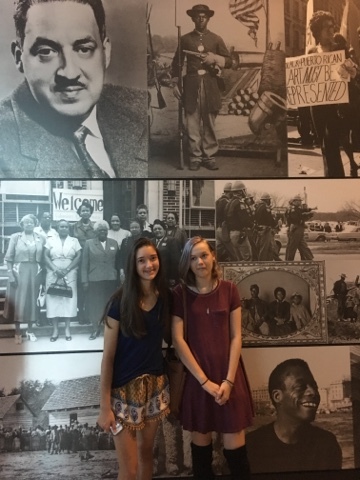 We toured the new National Museum of African American History and Culture and it was spectacular and overwhelming. So much information on 5 floors. I need to go back and look at all that we missed but it was a great first look. Japhy and Sophie enjoyed walking around together. We made it to the top to view the Lincoln Memorial-it was a struggle and really sweaty (temps were in the 90's). 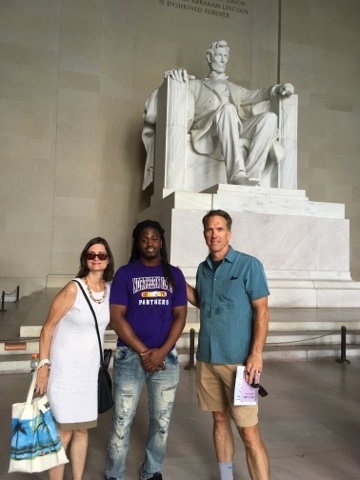 Anton enjoyed his first look at D.C. and the National Mall area. My mother-in-law wins the "best" MIL award. 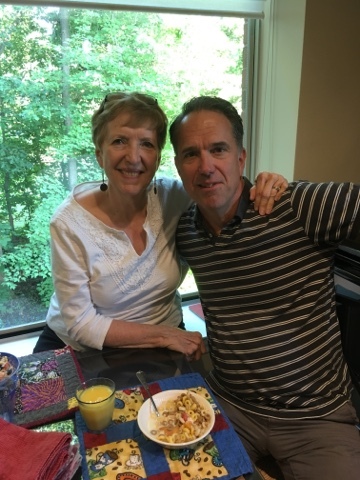 She always makes our time together special with food, wine, stories, and lots of hugs. I am very lucky to have Allen and Phyllis in my life. 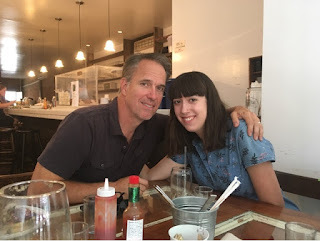 This is our last meal together before we head off to Brooklyn to see Kaylee. We all enjoyed School of Rock on Broadway as our friend Joel Waggoner (@joelwags85) rocked several roles in this kid-friendly show. 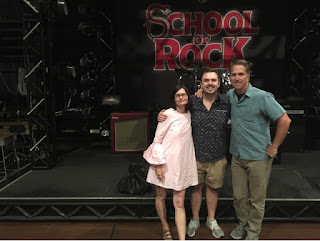 We loved our backstage tour, meeting a few cast mates, and dinner with him. If you are headed to NY anytime soon-this is a show to see. 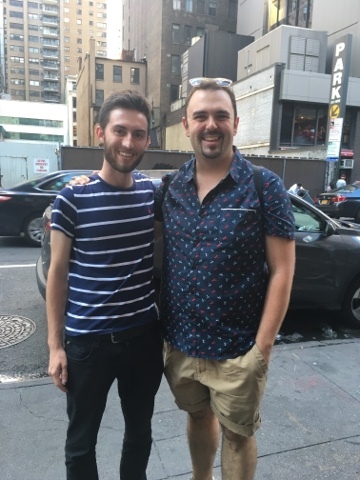 Greg and I also saw Waitress, which is not kid-friendly, and was excellent! Joel and Tristan right outside vegan sushi place, Beyond Sushi. Tristan and I loved this place-the flavors were delicious! We took a quick side trip out to Coney Island and it was a perfect afternoon. 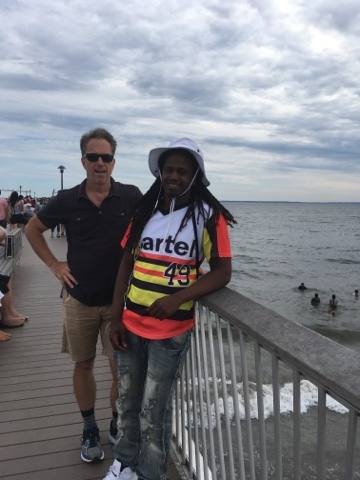 Not too hot, nice and breezy, we enjoyed the beach and the boardwalk before heading back to Brooklyn to meet up with friends at Drummer's Grove in Prospect Park. Sunday morning we had a delicious Blessings brunch with live jazz playing right behind us. We loved getting to see Kaylee's neighborhood and the Gimlet Media office area. We also had a great dinner at Frankies in Brooklyn. And our last stop was Rochester, NY for a Red Wings game (AA for MN Twins). We loved Rochester and would have loved to explore more.